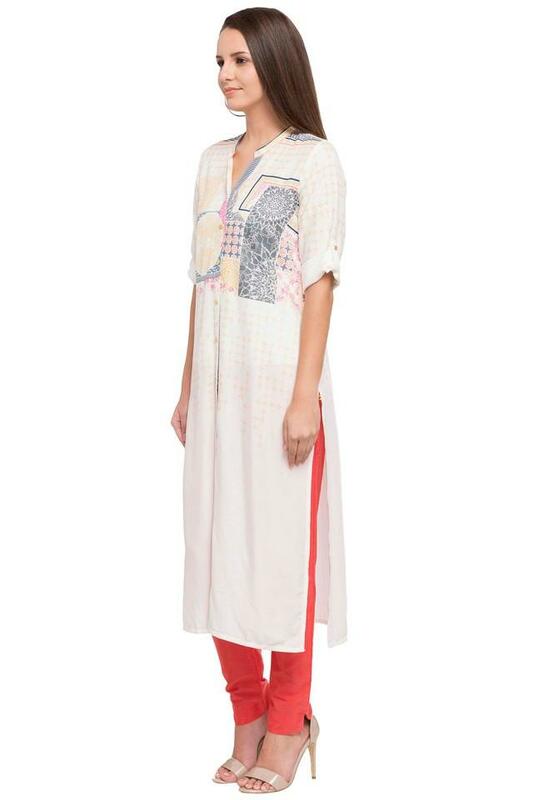 Perk up your after-hours style with this kurta from Aurelia. 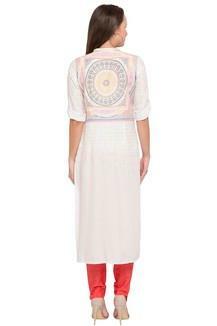 This kurta is made from good quality fabric, which ensures optimum comfort. Featuring a mandarin neck, roll up sleeves and printed pattern, this kurta boasts of enticing grace. Elevate your stylish collection with this kurta. 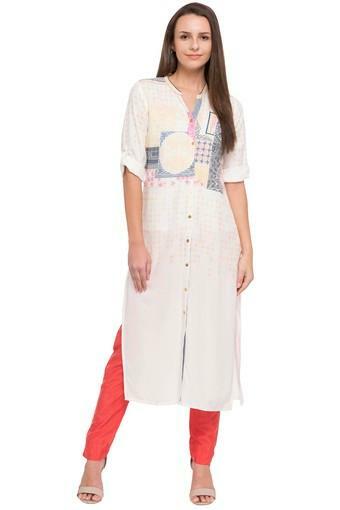 Show off your fashion sense by clubbing this kurta with a pair of contrast pants.